The 6th Sense is the doorway to your full potential. It brings the spiritual universe into your everyday life so that you can experience life not as a human, but as a SOUL. Are you ready to open your 3rd eye, harness its power, and become truly masterful in this reality? You're about to go beyond all notions of inner blocks and experience true spiritual vision. It's time: discover your 6th sense and enter a world of freedom, possibility, and power. Knowledge is power. Cut through the New Age noise and learn the truth you've suspected your whole life. You can experience the 6th sense NOW because there is nothing you've ever lacked. There's a difference between "knowing" energy is real, and going, "OH MY GOD! IT'S REAL! IT'S ALL REAL!!!" Learn to see the ever-present field of energy that surrounds you and awaken into a new experience of reality. Napoleon Hill hints at a knowledge "between the lines" in Think and Grow Rich. Discover how your 6th sense abilities are the missing ingredient to true manifestation. "He who has an eye to see, let him See." 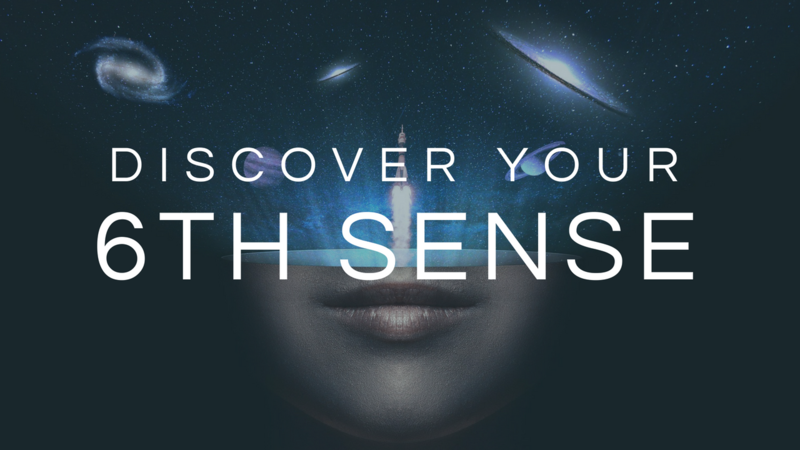 Click here to start the free video training series: Discover and Develop Your 6th Sense! Yes! I'm ready to discover my 6th Sense!